The Original SNRR Grade Runs Right Up the Center of This Road. 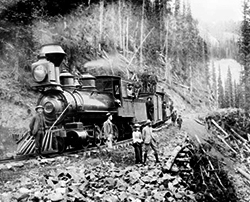 The Silverton Northern Railroad Reconstruction (SNRR) Project is an effort of the San Juan County Historical Society (hyperlink) to rebuild a section of Otto Mears' original Silverton Northern Railroad between the town of Silverton and the ghost town of Howardsville. The main goals behind this SNRR Project are historic preservation and economic development for the community of Silverton and San Juan County as a whole. It will provide visitors to the county with another attraction and also encourage more overnight visits to Silverton. The SNRR Project will also provide some much needed jobs for the citizens of San Juan County. The overall plan is to not just provide a train ride for the public but also to develop the railway's repair shop to a point where we will not only be taking care of our own rail equipment but also offer machine and repair work for outside costumers. Also, the restoration of historical railway equipment significant to the local area will continue and be greatly expanded beyond its current effort resulting in many more static and operational displays of railway equipment that can be enjoyed by the public. The Silverton Northern starts in the area called the Powerhouse Industrial Park about one mile northeast of Silverton on an original portion of the SN mainline. This area is owned by the historical society and will provide for the station and railroad’s shop facilities. Initial track has been laid by society volunteers during the summer and fall of 2015 with additional material on hand to resume construction in 2016. Just to the northeast of this new station, the railroad enters the scenic Upper Animas Canyon and travels past the site of the Silver Lake Mill and below the Mayflower Gold Mill, which is currently a heritage attraction open to the public owned and operated by the San Juan County Historical Society. By mile post 2.5, the railway leaves the canyon and arrived at Howardsville. A station stop is planned for this area incorporating a turning wye and the Little Nation Mill building which is also currently owned by the San Juan County Historical Society. 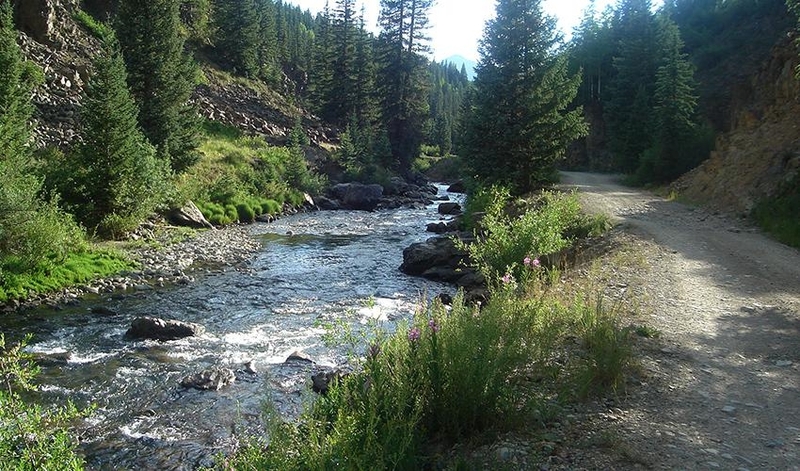 From here, our passengers could connect with San Juan Backcountry Jeep Rentals & Tours or continue up Cunningham Gulch to visit the Old Hundred Mine tour Old Hundred Mine Tour. At the present time, there are two extensions being considered beyond Howardsville. However, the building of these extensions will be dependent on the current land owners and other economic factors. The San Juan County Historical Society has already secured the needed land and right of way for the railroad between Silverton and Howardsville. We are currently working with a third party to have an operational feasibility study completed. This document is an essential part of our efforts to secure further funding for the SNRR Project. We have also secured the use of some of the needed rail equipment; however we still have a ways to go before we can once again ride the rails of the Silverton Northern Railroad. Please consider supporting the Silverton Northern Railroad Reconstruction Project with a donation or visit to our Online Store.